We were working on paintings of rivers and reflections the last couple of weeks. I painted the River Lynher in spring. Then I added a flower: narcissus poeticus. 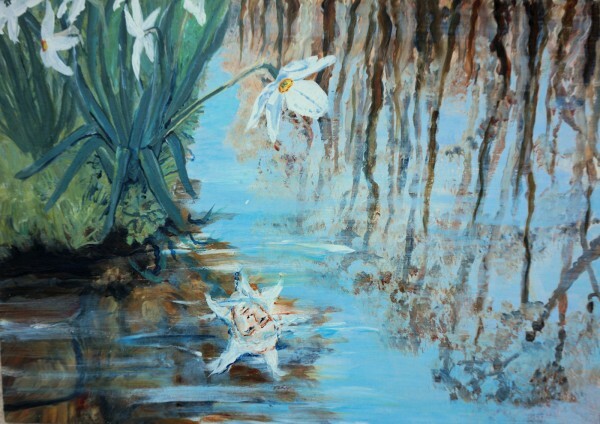 Then I added a Narcissus and Echo. I'm still not sure if this was a good idea or not, though I do like the original narcissus flower.